Main street in Logan, Utah, looking north. View of Edwards Retail and Liquors and a Furniture store. 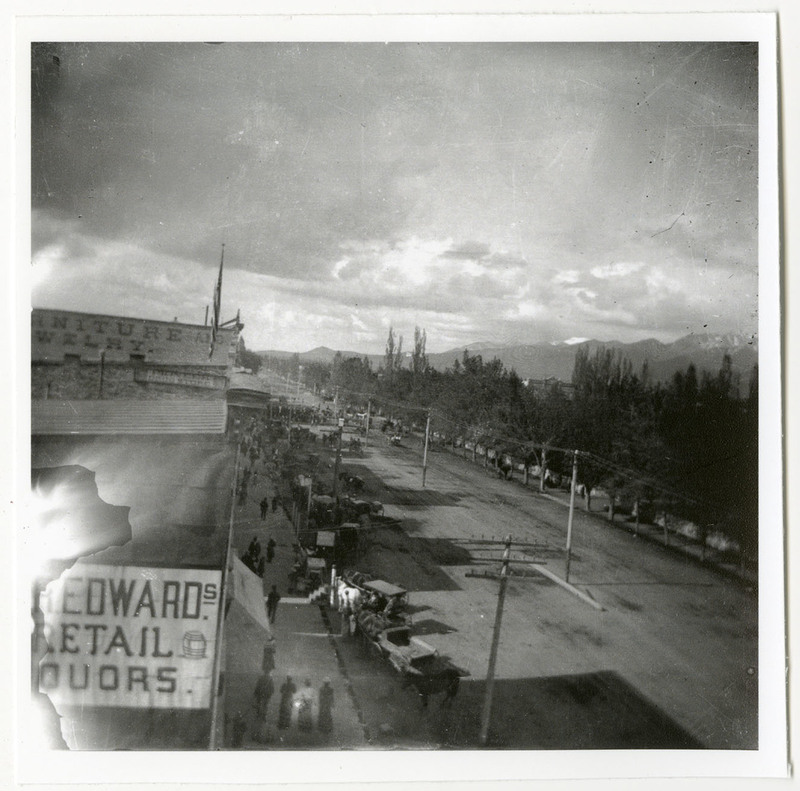 “Main street in Logan, Utah, looking north from roof,” USU Digital Exhibits, accessed April 24, 2019, http://exhibits.usu.edu/items/show/19718.